For those of you who have read my website you know that my dad gave me the best advice ever when he said "if you make your business truly about helping people you'll always have plenty of work." I have tried to work hard to do this and although I still act selfishly more often than I'd like I'm so encouraged by the response I've had to my newsletters and my software. When Forest and I first started cranking on software for my business we had no idea that so many people needed the same thing and then I pitched some ideas to my friend Todd as well and then he got his buddy Nate involved and I've just been so blessed by these three guys and their willingness to work so incredibly hard for me (and now for the whole photo industry) and it's so encouraging to know that everyone is loving the software and that it's helping people succeed in their businesses and hopefully provide better lives for their families. I've gotta say it again that I just feel so lucky and blessed to have the friends that I have and I'm so glad that in some way they are able to touch your lives as well. My friend Deyl has also played a huge role in my understanding business as a whole and figuring out how to free up my time so that I can concentrate on being with the people that I love and hopefully help you all do the same. And I can't say enough about how supportive Gary Fong has been as well. He, possibly more than anybody else, has helped me see the needs in this industry. I was up until 4am this morning working on my newsletter and I was almost falling asleep at the desk but I wanted to make sure that it added value to everyone who read it and so I was amped to wake up to dozens of emails thanking me for sending it out. I'll do my best to respond back as soon as possible. We also had a flood of orders and I'm just so glad that this software is something that everyone sees value in and again a special thank you to the programmers who have allowed me to offer it for so cheap. They are amazingly generous guys and I pray God's richest blessings on them! 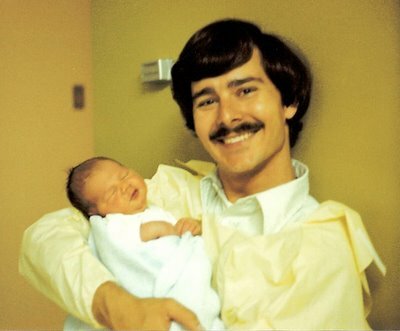 At first glance, I thought "DJ gave himself a mustache and has a baby".... wow you and your pop look alike!! That's so funny Liana:) The first time I saw that Picture I thought it was DJ and I was like he's a daddy:) he he!!!! Your Showit gallery has been used recently to showcase photographers who attended the recent Foundation Workshop hosted by Huy Nguyin and has created a buzz on DWF.com as well as PWPforums.com. That was the reason I bought it. I had been souring the web looking for your product long before I learned of its existence. The funny thing is that I did my hair like that up until like 2 years ago! I think its so sweet how PROUD he looks! Wow DJ!!! God is sooooo good!!! .......I always laugh so hard when I see that picture!!! lol!!!! I thought the same thing as Liana, that you had photoshopped it or something. So funny. I got my upgrade and have been playing with that and the borders all day. WONDERFUL and helpful as usual. You guys never cease to amaze me! Of all the things you have given I can't think of one that I appreciate more than what you have given Thirst Relief International. That video clip is great!!! The website is up and running. www.thirstrelief.org I'd so love to get a clip of the video on there too! I'll see if I can. haHAHA, I thought the same thing! I was like, why did DJ dress up as Greg brady and hold a baby? Seriously, great post, and all the best things to you. You rock! Wow, you look like your pop! What a great moment. Thanks for sharing your newsletter with us all...! It's not everyday you meet genuinely nice people. I'm already truly blessed in life and this is forum is just another blessing! Can't wait to read your next post. You look just like your dad - where is the disco ball!??? DJ, You really do look just like your Dad. What Great advice for everyone. Thanks for sharing.